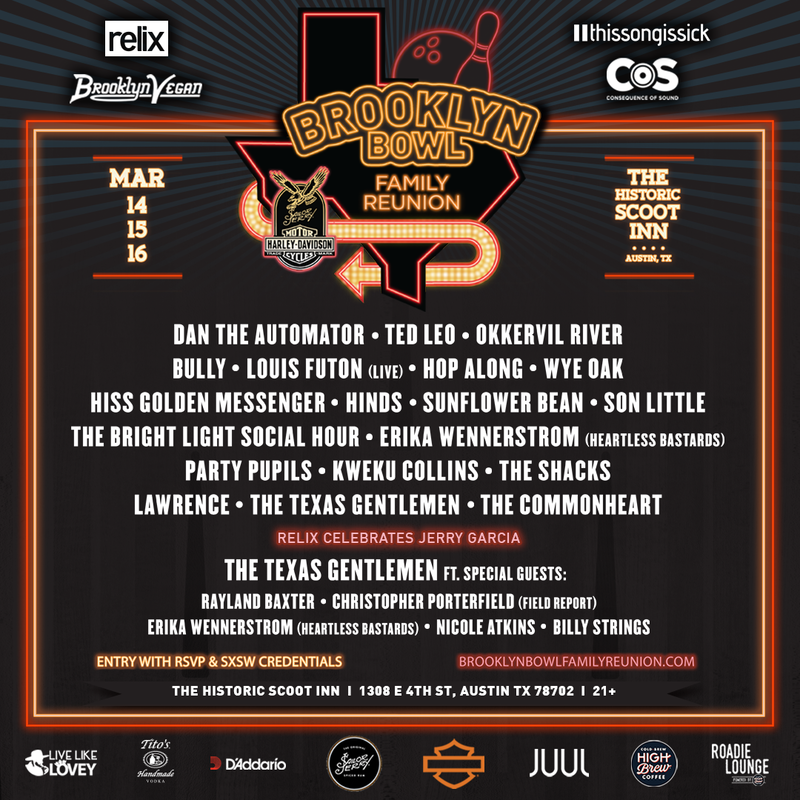 Renowned concert venue the Brooklyn Bowl is throwing a series of SXSW concert events in 2018, naturally in Austin’s Scoot Inn in the hipper east side. In partnership with Harley-Davidson and Sailor Jerry, the three-day event brings in 24 bands with the help of some seriously influential music publications like Brooklyn Vegan, Relix, Consequence of Sound, and This Song is Sick. The shows span across genres, showing off the broad range of current and legendary shows the Brooklyn Bowl is known for. The day shows are free with RSVP and there’s a chance to win passes to the night shows – while some of the lineup is yet to be announced, the bands confirmed to play day shows already include bright American R&B writer/singer Son Little, New York brother-sister soul duo Lawrence, storied producer Dan The Automator who brings his experience from Handsome Boy Modeling School and Deltron 3030 with Del tha Funky Homosapien to the stage along with DJ Qbert and a surprise special guest, New York precocious rock group Sunflower Bean, Chicago rap’s latest star Kweku Collins, and rag-tag feel good southern rockers The Texas Gentlemen. And there’s plenty more where that came from – read on for full event details, the bands as announced now, and of course the links to RSVP to get in! There are separate RSVPs for each day, but RSVPing to one of the day events should add you to the list for all of them. 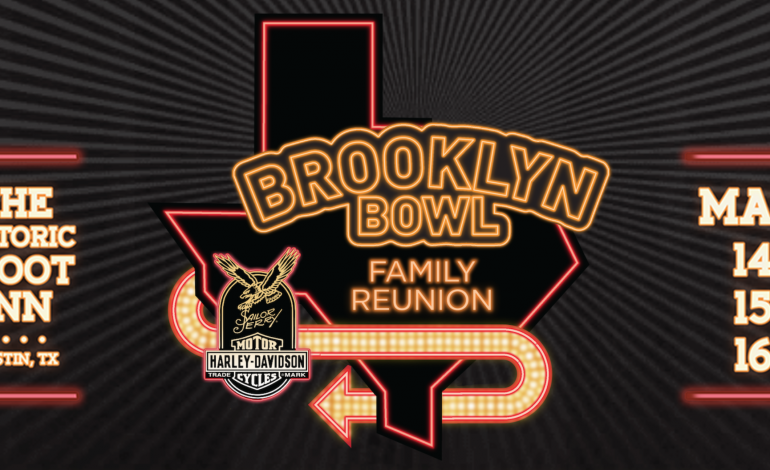 Head over to www.brooklynbowlfamilyreunion.com to RSVP and read up on all the juicy details! You’ll also be able to enter to win entrance to their night showcases. The day party on Wednesday, March 14th runs from 1pm – 6pm, with Philly indie rock outfit Hop Along, Son Little, the airy, sweet strains of The Shacks, and Lawrence. The day party on Thursday, March 15th also from 1pm-6pm features shows from the fun-loving Spanish rock quartet Hinds, Kweku Collins, Sunflower Bean, and Dan the Automator ft. DJ Qbert and another still-to-be-announced guest. Day three is a larger-than-life grand finale, as Relix celebrates Jerry Garcia with Red Roses Green Gold, featuring The Texas Gentleman and a wide cast of special guests including Rayland Baxter, Christopher Porterfield of Field Report, Erika Wennerstrom of Heartless Bastards, Nicole Atkins, Billy Strings, The Accidentals, and the Commonheart!